What it the Featured Member Ad Package or Category Banner Ad? Below are five ways to improve your HBA Home Pros listing with the $150 Featured Member Ad Package (FMAP). Some of what is listed below requires an additional fee, but most of what can be added to your profile listing is included with the FMAP. Contact Aaron at 881.3711 (Aaron@HBASpringfield.com) if you have questions or if you have information you would like to add to your listing. Go to https://reviewsonmywebsite.com and setup an account (simple). You will be required to connect your google account that is associated with your Google my Business. Follow the instructions to creating your widget. Only 5 reviews will be listed with the free widget. The HBA of Greater Springfield is not responsible for anything related to the use this third party plugin, including reviews displayed, malware etc. Displaying google reviews within your listing requires the Featured Member Ad Package (FMAP). Information on FMAP Below. 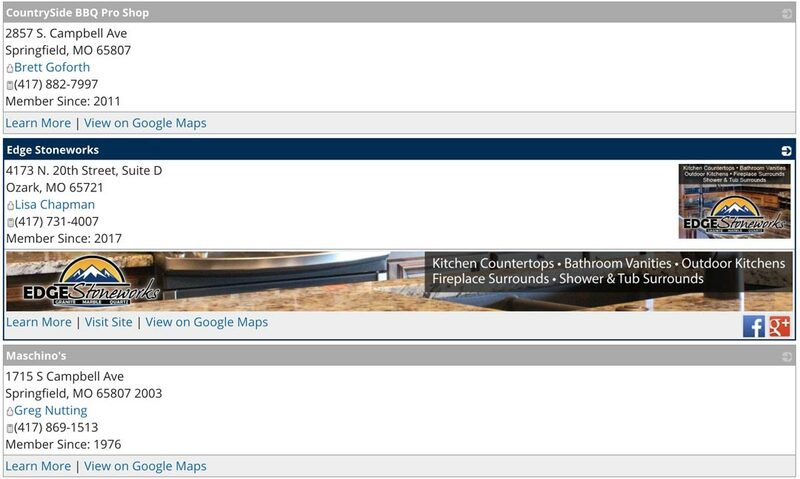 ALSO - See Central Home Systems listing for an example. Featured Member Ad Package required to embed google reviews (see #3 below). If you are BBB Accredited you can add your seal to your HBA Home Pros listing. Login to your BBB account - Click Here! You will need your email address and password associated with your business. If you do not have this information, click here for contact information. Click here to apply for Accreditation. See sample of the HBA BBB Accredited Seal below. Displaying a BBB Seal in your listing requires the Featured Member Ad Package (FMAP). Information on FMAP Below. The FMAP Includes an enhanced Profile on your HBAHomePros.com membership listing (ad/logo, social media links, company description, embedded YouTube capability and a link to your website). Also includes an ad placed in rotation at the bottom of every page on HBASpringfield.com and HBAHomePros.com. Go to HBAHomePros.com and click on a category and notice those with and without an FMAP. Ad dimension - 225 x 150px (jpg or png preferred). Additional fee applies for banner design. Contact Aaron@HBASpringfield.com if you are interested. Must have Featured Member Ad Package (FMAP). Sample below shows a builder with the FMAP and one without. This is great for members that would like to be seen at the top of the listing for a specific category. It is also good for those company names that start with "Z" and do not benefit from an alphabetically listing. 2 category limit per member. $150 per year per category. Go to HBAHomePros.com and click on the category "Countertops" and notice that Edge Stoneworks and Ozarks Marble are at the very top of the list. Sample below shows Southern Supply at the Top of the List - if alphabetical they would be down the list. The Listing Banner is a new addition in 2018 for those with a Printed Directory Ad and Category Banner Ad. See the SS&B listing under Heating & Air Conditioning or Edge Stoneworks under Countertops. Ad dimension - Currently 1640 x 150px (jpg or png preferred). Height of this banner may change. Currently Beta Testing. Free when advertising with both a Category Banner Ad ($75 per year) and in the Printed Membership Directory (smallest ad is $175) - Must reserve ad space before March 29th. Featured Member Ad Package required. 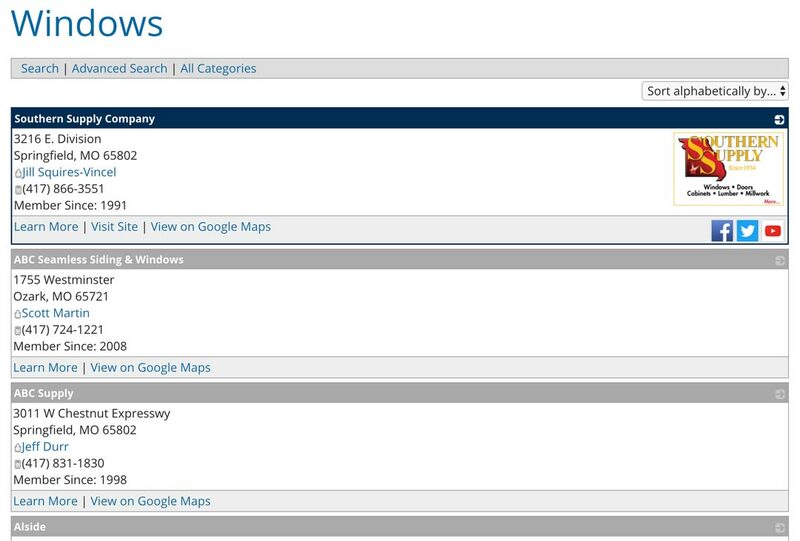 Sample below shows the "Listing Banner" beneath a regular listing for Edge Stoneworks. See basic listing sample above Edge Stoneworks. Technically this is not part of your "listing," but it is a great way for you to stand out in whatever category you feel benefits you most. This is the Top Banner in a Single Specific Category like builder or countertop (see top ads at hbags.info/catsample for an example). The FMAP is NOT required to have a Category Banner Ad. Rotates with up to 10 advertisers. $75 per year per category. Ad dimension - 1640 x 456px (jpg or png preferred). 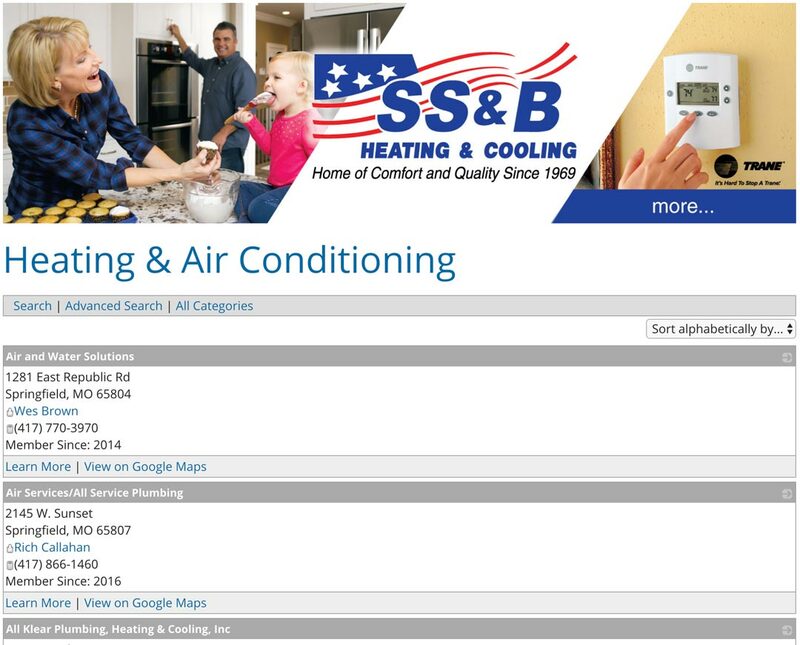 Sample below shows a Category Banner ad for SS&B Heating & Cooling - Category "Heating & Air Conditioning." To see all of the HBA Marketing Resources - Click Here!